Are you ready to generate immediate leads? Did you know CraigsList has a staggering 664 million searches? If you didn’t you can now consider yourself educated on the numerical power of Craigslist. Most home builders have caught on to the growing social media trend by either allocating resources to Facebook and Twitter or making plans to do so due to their large numbers of consumers, but is CraigsList being ignored? I strongly stress to you that CraigsList is as important as Google when it comes to selling new homes. The real estate audience surfing the CraigsList wave is larger than many give credit. Home builders who want to sell their homes will not ignore the site that is captivating future home buyers. Registration is FREE but space is limited. We will also be giving out special prizes for a few lucky participants including FREE listings for communities and FREE copies of Browsers to Buyers. Jim Adams is founder and CEO of newhomesdirectory.com He graduated from the J.F.K Special Warfare School at Ft. Bragg, NC and has a B.A. in Psychology from San Diego State University. 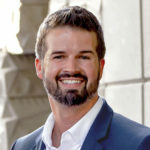 With a passion for Internet technologies, Jim has taken NewHomesDirectory.com from a single market in San Diego, to over 80 markets in two countries, since its inception in 2002. One of Jim’s greatest assets to his company is that he is a self taught programmer and search engine analyst. He still does all the SEO for NewHomesDirectory.com himself. NewHomesDirectory.com is one of the top ranked new home websites for all search engines across the Internet. Mike Lyon has “real world” knowledge and first-hand experience in the realm of online marketing and sales for homebuilders. He delivers his information from the trenches and draws from his diverse background in online advertising, digital design and internet sales. With his energetic and entertaining speaking style, Mike has brought to life the topics of internet marketing, sales and technology at events across the country including the past 3 International Builders’ Show. He is a highly sought after consultant and has contributed to the success of homebuilders all across the nation. He is the bestselling author of Browsers to Buyers: Proven Strategies for Selling New Homes Online, the homebuilding industry’s authoritative guide on internet marketing, lead generation and leads management.